Nelson Mandela, South Africa's first black president, is "undergoing routine tests" at Johannesburg's Milpark Hospital, his foundation said. 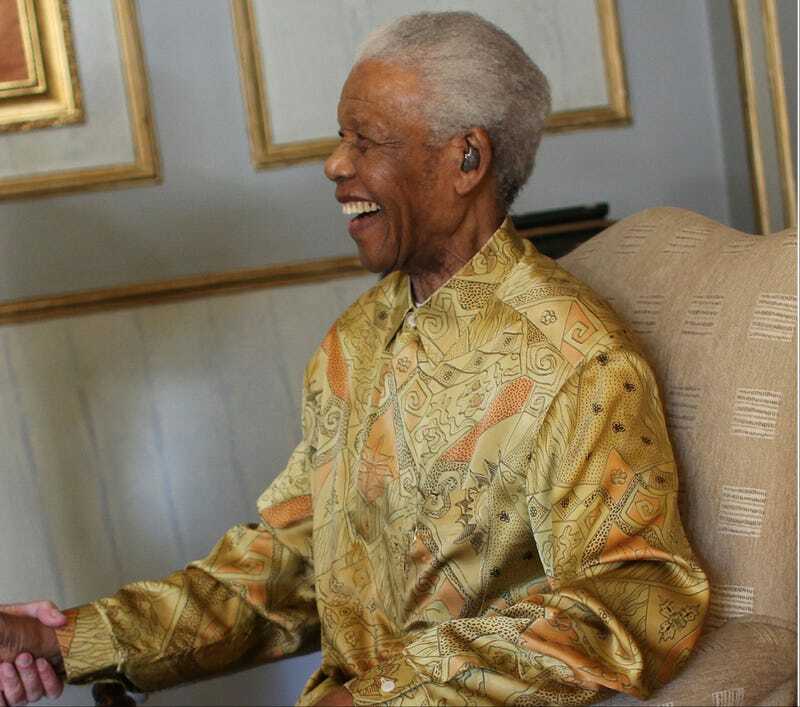 The 92-year-old is "in no danger and is in good spirits," Sello Hatang, spokesman for the Nelson Mandela Foundation, said in the statement. Reporters gathered outside the hospital and Johannesburg's South African Press Association, known as SAPA, and eTV said that their reporters has seen his family members, including his wife Graca Machel, at the hospital. Mandela, who lives in Johannesburg, spent 27 years in prison after being arrested plotting an armed struggle against the apartheid government. His release in 1990 paved the way for the end of white rule and he became president in 1994. He stepped down after one term in power in 1999. South Africa's President Jacob Zuma won't be returning from the World Economic Forum in Davos, SAPA reported, citing Zizi Kodwa, his spokesman. In other news: Montel Williams Lobbies for Medical Marijuana Legalization.